At the end of 2007 the four biggest fuel distributing companies in Bulgaria held 62.72% of the market, an analysis conducted by Petrol Jsc reveals. Petrol remains the leader on the market (19.61%). The company added another 0.76% in the past year. Petrol also tops the charts in terms of number of points of sale – 510 and sales (468 mln leva). Number two and three are Shell and OMV with 14.47% and 14.38% respectively. Those two are also the fastest developing companies on the market, having boosted their market shares by 2.01% and 2.14% respectively. Lukoil, which expanded its market share 8.12% last year to 14.26%, is fourth in the chart. Another public company – Toplivo is fifth with 3.36% (+0.36%). Toplivo is also second in terms of number of points of sale (124), followed by Lukoil (105) and Shell (100). Eco Elda, Rompetrol and OPET also make it into the top 10. Those three have seen their market shares grow by a total of 2.13% last year. Lukoil, Eco Elda and Rompetrol launched massive investment programs last year, opening new gas station and shops. 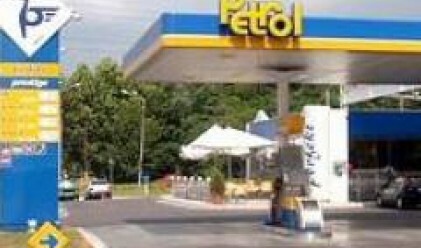 At the end of 2007 Rompetrol Bulgaria operates 35 service stations (owned or franchised). The number of gas stations in Bulgaria stands at 3,135 as at the end of 2007 and the total amount of sales reached 2.385 mln liters.